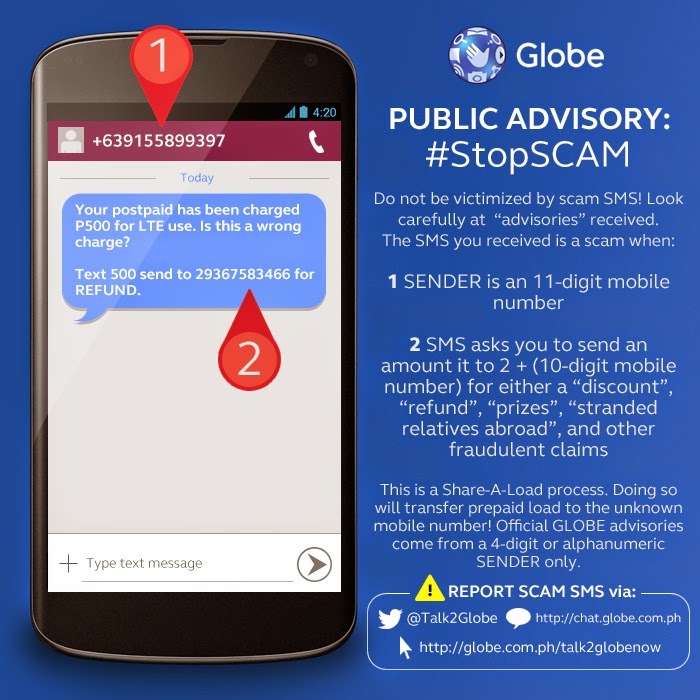 Globe Telecom warms user with text scams on supposed “discount,” “refund,” “prizes,” “stranded relatives” and other falsified claims disguised as share-a-load transactions. In the case of supposed “discounts” or “refunds”, Globe emphasized that legitimate advisories from the telecommunications provider are labelled from “GLOBE” and do not come from 11-digit numbers. Subscribers may validate unusual texts and calls with the company’s customer service agents.